The Vietnam Era Veterans’ Readjustment Assistance Act (VEVRAA) requires federal contractors to list job openings with the Employment Service Delivery System (ESDS). 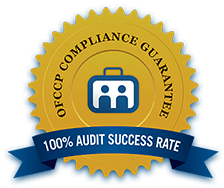 We make compliance easy and seamless for you by posting jobs from your career site to the appropriate state ESDS where your jobs are located, capture and retain proof of posting, and make reports available to you 24/7. Enjoy peace of mind knowing we execute the required actions and deliver evidence of your cross-posting compliance regarding protected veterans. Part of VEVRAA’s purpose is to give veterans the first opportunity to apply for jobs. Our team utilizes a variety of tools to facilitate the most effective and efficient path to veteran priority referral and execution. Reap the benefits of our experience and proactive approach to meeting this regulatory requirement. Get your jobs posted on the ESDS as soon as they are open. Eliminate the laborious task of monitoring when your jobs close or change. Our service will take care of closing your inactive jobs on the ESDS and extending your postings for you. We will take care of staying abreast of the specific posting requirements of each ESDS state. Our job is to make your life easier during an audit. Our Compliance Audit Support Team will assist you in compiling your state ESDS posting and outreach documentation. Use our pre-audit checklist and FAQs to proactively prepare for an audit.